MetroLab Network in USA, includes 41 cities, 4 counties, and 55 universities, organized in more than 35 regional city-university partnerships. Partners focus on research, development, and deployment (RD&D) projects that offer technological and analytically-based solutions to challenges facing urban areas including: inequality in income, health, mobility, security and opportunity; aging infrastructure; and environmental sustainability and resiliency. 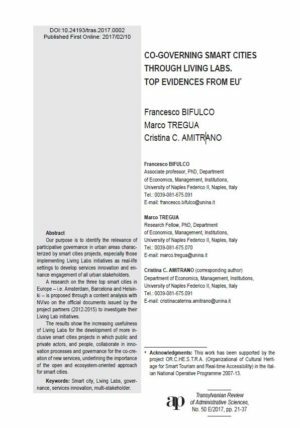 This article Co-Governing Smart Cities through Living Labs: Top Evidences from EU by F. Bifulco, M. Tregua, C. C. Amitrano, aims to identify relevance between participative governance and smart cities projects that implement Living Labs initiatives. Reviewing the literature on participative approaches to innovation and city governance and highlighting the gaps where further research is needed, their contribution is proved. 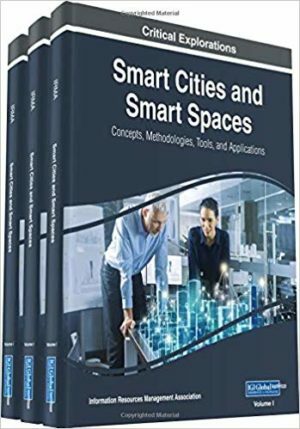 Through research on EU smart cities, they demonstrate the the determining role of Living Labs for co-governing the smart cities. During 2016, the first steps were made towards establishing the city of Antwerp, Belgium, as one city-wide living lab of smart city technology, and what can hopefully become a benchmark for urban environments around the world. Singapore is going to set up a living lab to improve the business processes and capabilities of maritime companies within the year, and will follow this up by establishing three maritime centers of excellence within local higher education institutions. 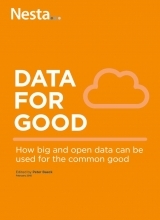 Data for Good is a report produced by Nesta, targeting to explore the ways in which big and open data can be used for the common good. Although this study does not offer specific answers to the ways in which big data could be used as a tool to promote common good, it offers an opportunity for collecting and presenting a variety of experiences. 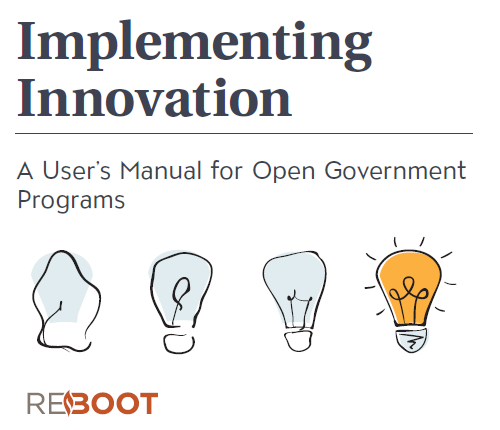 Reboot, a social impact firm dedicated to inclusive development and accountable governance, published a guide that provides practical advice and guidance for government changemakers as they navigate the specific challenges of implementing innovative programs in the public sector.